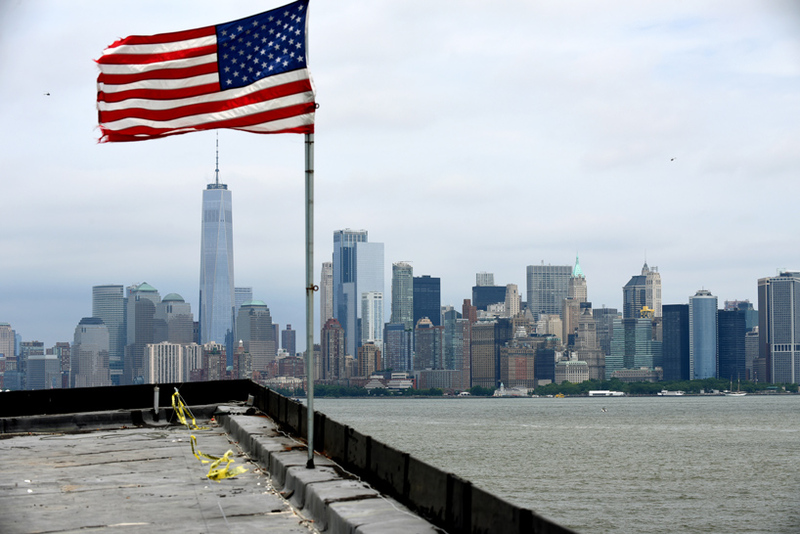 construction of new york city’s ‘statue of liberty museum’ is underway on liberty island. 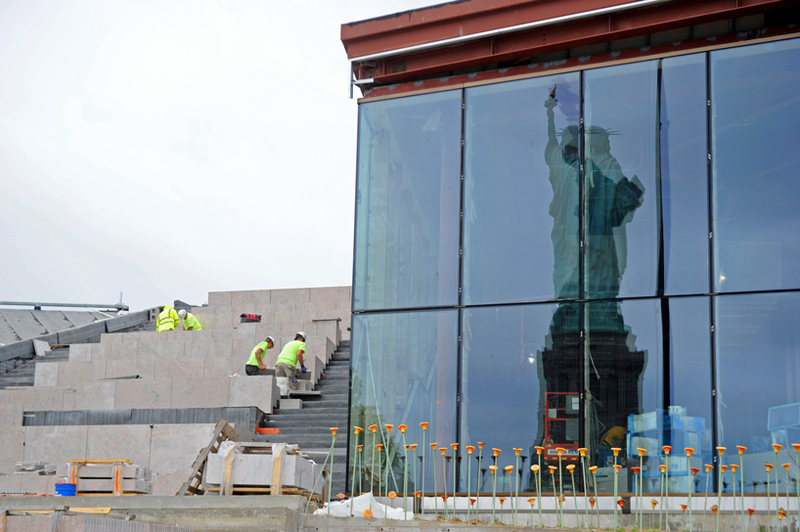 while the ‘statue of liberty-ellis island foundation’ (SOLEIF) has been responsible for a number of historic restoration and preservation projects since the 1980s, the museum marks the first new building construction undertaken by the foundation. the 26,000-square-foot museum was designed by new york-based architecture firm fxcollaborative, with exhibitions created by experience and interaction design firm, ESI design. 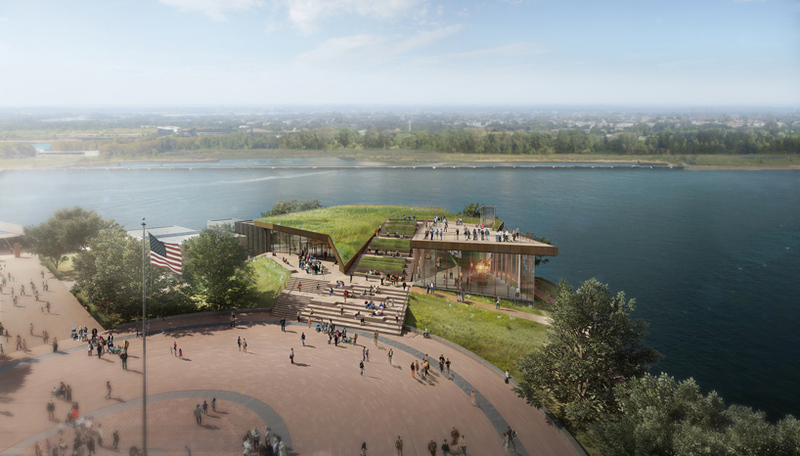 the fxcollaborative museum serves as the key element of a beautification plan for liberty island which receives more than 4.3 million visitors annually. 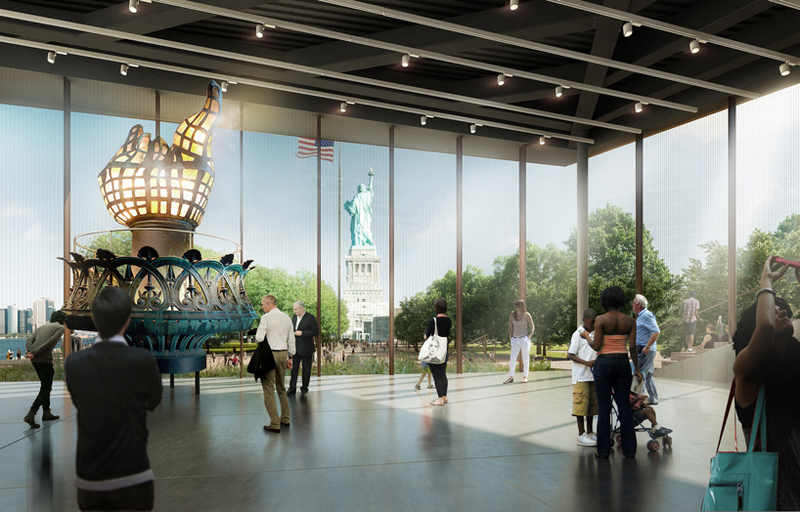 the current statue of liberty museum, located inside the monument itself, is only accessible to a small fraction of this number due to safety upgrades place following september 11, 2001. the new museum, through exhibits by ESI design, will offer visitors the opportunity to learn about and honor the statue’s history, influence, and legacy in the world. 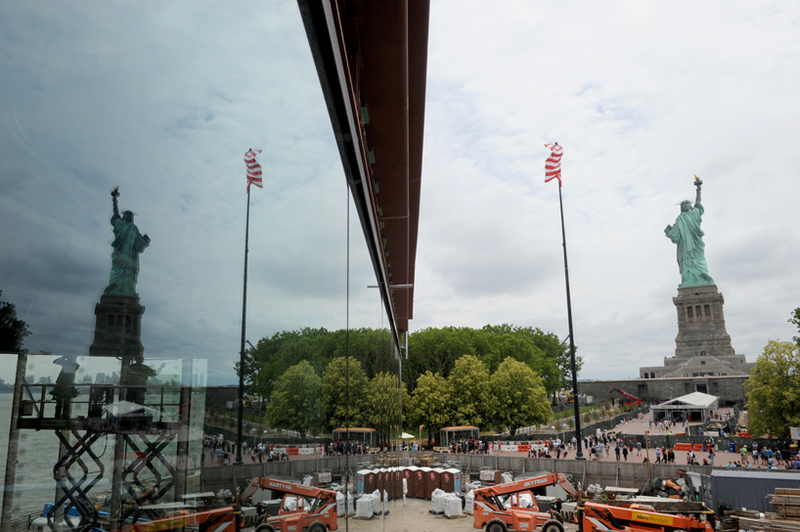 to begin, an immersive experience will take visitors on a virtual flythrough inside the monument with an overview of the story of lady liberty and how the world has changed around her. visitors then delve into stories about the statue’s construction, history, and global impact through historic artifacts, immersive media, and interactives. the culmination of the museum experience prompts visitors to consider their own roles in liberty’s future through engaging activities. the museum will incorporate the best environmentally sustainable practices. the fxcollaborative design features a green roofscape and bird-safe glass exteriors. 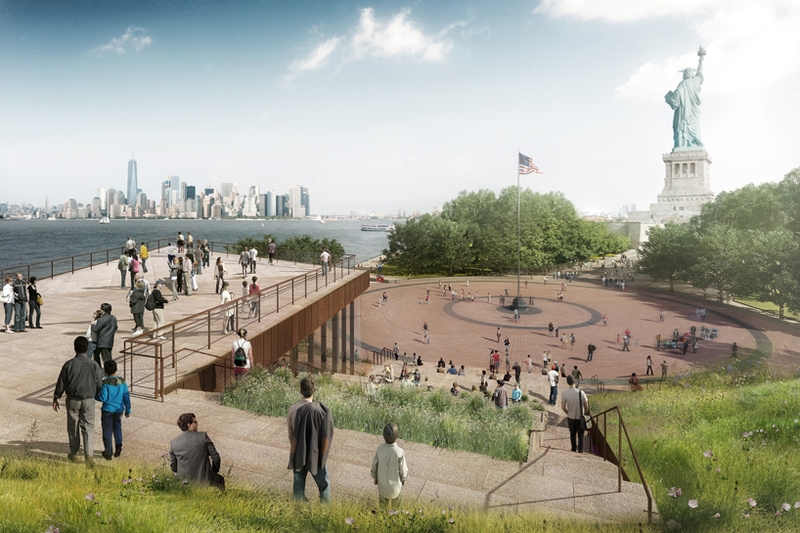 while the greenspace section of the roof serves as an inaccessible meadow, the adjacent roof terrace offers panoramic views of the monument with a sweeping backdrop of lower manhattan. set above 500-year flood levels, the structure will withstand hurricane force winds. 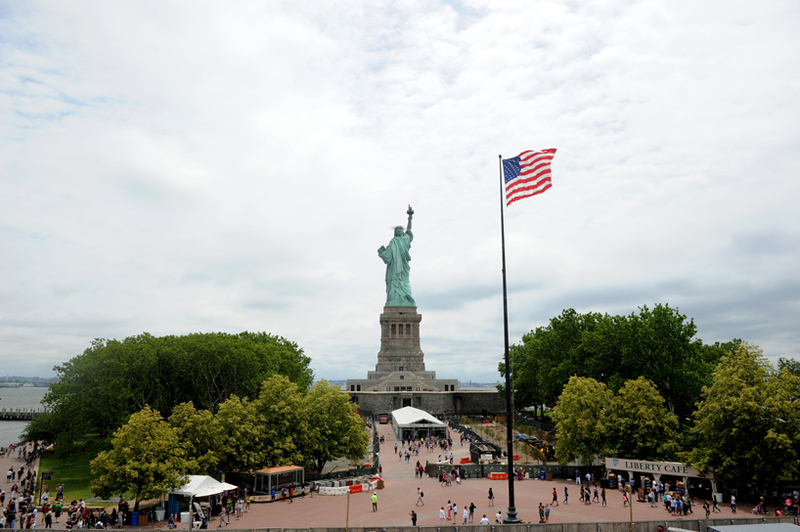 meanwhile the team at ESI design ruminate on the history of the statue of liberty, the ideals she represents, and how she philosophically serves not only as an american icon but as an interpretive and celebrated global symbol.